We’ve all been there. When we’re half way through cooking, we reach for the tin and suddenly we realise we can’t get in to it. You might have tried several other kitchen utensils to open the tin, but likely with difficult and potentially even an injury. 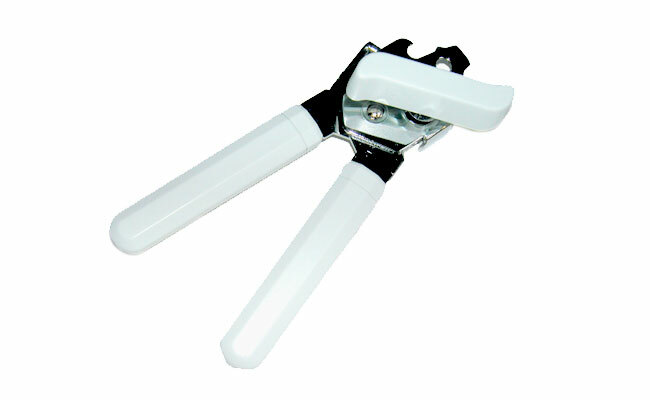 Our tin openers are simple and easy to use, and provide the best safe results making breaking into cans easy every time. Available in a range of sizes and designs, these humble can openers are suitable for large commercial tins or small household tins. Maybe you need more than a can opener… well luckily at Pattersons Catering Supplies we stock a comprehensive range of kitchen utensils for busy chefs and professional cooks! Browse our massive online range of commercial kitchen utensils and food preparation tools, part of an extensive collection of gadgets, tools and equipment in our kitchen equipment department.